Give your pack a lower center of gravity with the brand new Crux LR reservoir. It delivers 20% more water per sip while keeping weight positioned low on your back, which translates to better stability in the saddle and on the trail. The Crux delivers 20% more water with every sip, plus an on/off lever that seals your tube shut when you’re not drinking. 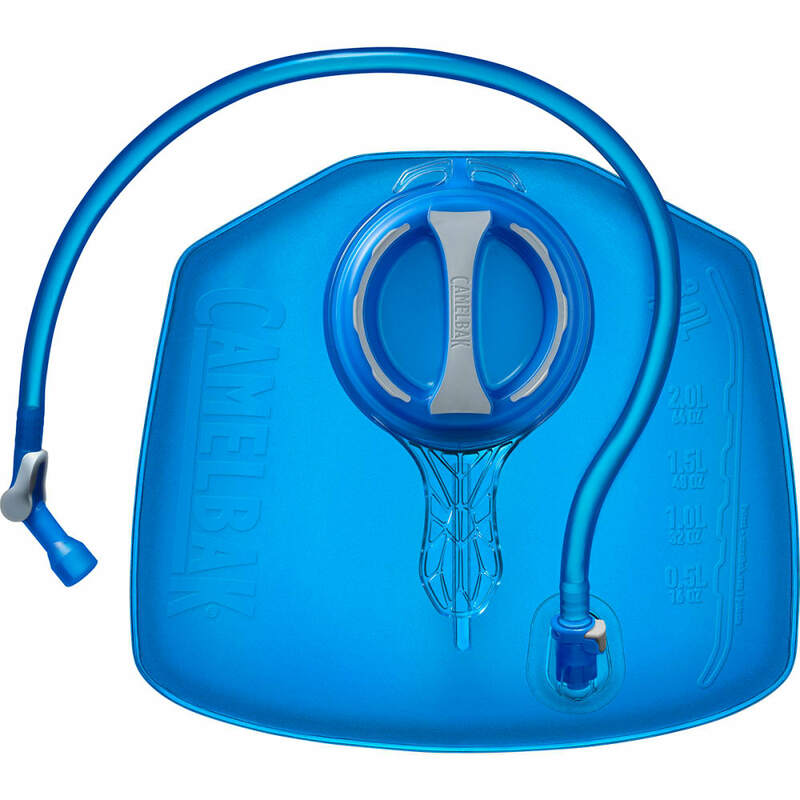 CamelBak also upgraded the fill-port design to include an ergonomic handle and a redesigned a cap that’s more intuitive and easier to fill—small changes that make it that much easier to fill up and hit the road. 100% free of BPA, BPS and BPF. Offers 20% more water per sip. Lumbar design shifts water weight to your lower back for more stability on the trail. Dimensions: 27 x 28 x 8 cm / 10.5 x 11 x 3 in.